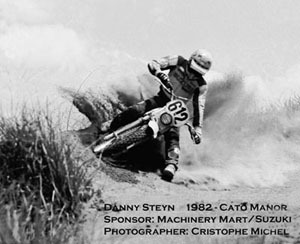 At the peak of his Motocross career, Danny was part of the wonderfully talented Blue Stratos Kawasaki Team that was the dominant force in motocross in South Africa in the 1980's. This team produced some well respected champions including Greg Albertyn (World Motocross Champion in 1992, '93 and '94, AMA Champion '99), Colin Dugmore and Robbie Herring (Multiple UK Champion and manager of the UK Motocross Des Nations Team). In 1983 Danny won his State Motocross Championship with 13 wins in 14 races. 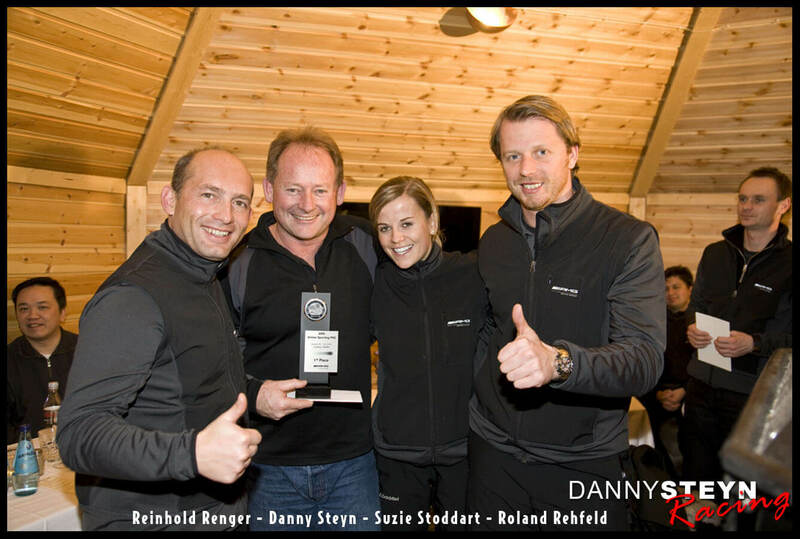 Danny also competed in the famous Roof of Africa 3-Day Rally in 1984 and 1985, and raced Enduros, Off Road races and Hare Scrambles. Unfortunately a really bad motocross accident in a race at Eshowe, Kwazulu in 1987 hospitalized Danny. During surgery he lapsed into a coma, and was in intensive care for over a week. Despite being administered his last rites, he made a full recovery, and went back racing 6-months later. Unfortunately he never got back to full speed and retired from motocross later that year. 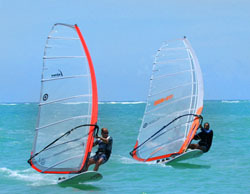 After retiring from motocross in 1988, Danny then took up competitive windsurfing and won the South African Championship in 1992. In 1993 Danny emigrated to the USA, and became a US citizen in 2004. In 2005, seventeen years after retiring from motocross, Danny attended an AMG Driving Academy at Homestead Raceway and his instructors Jeff Andretti and Linda Pobst recognized he had some talent and encouraged him to see what he could do in motor sport. 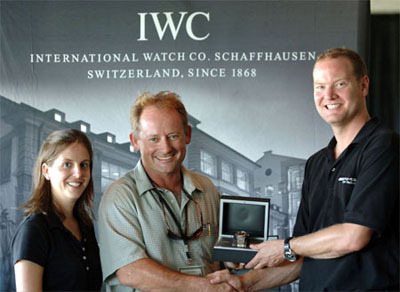 Danny attended several more AMG Challenges and was presented the prestigious AMG IWC Ingenieure watch for fastest autocross time at Homestead in November 2006 by Tommy Kendall. With this success, in 2006 Danny signed up for the Panoz Driving School and went on to run two race series with Panoz, culminating in a 3rd Place in the Final Series in 2007. 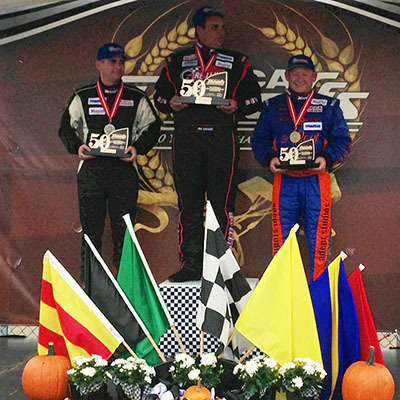 This coincided with 3rd place finish in the Final Panoz race at the 2007 Petite LeMans Road Atlanta. 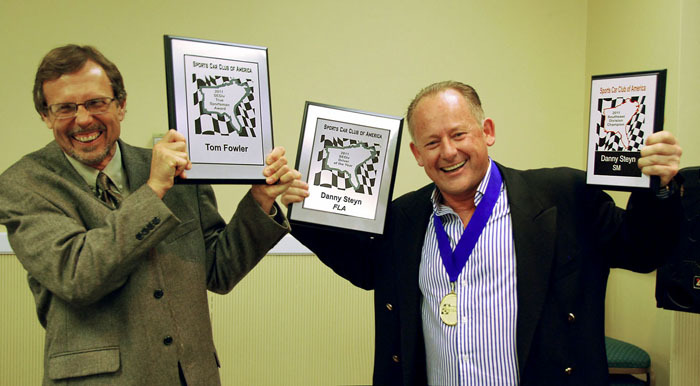 In 2007 Danny rented a Spec Miata from Tom Fowler at OPM Autosports and tried his hand at two SCCA events. 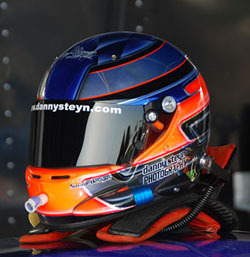 He was immediately hooked and commissioned OPM Autosports to build him his own Spec Miata for the 2008 season. Danny races under the OPM tent with Tom Fowler as crew chief. His engines are built by good friend Mike Rossini, and he has support from several other sponsors listed on this site.